ENGL 3389: Short Story – Exploring American Cultures, Summer I 2016. Texas Tech University. ENGL 3390: Literatures of the Southwest – “Foreign to the United States in a Domestic Sense,” Spring 2016. Texas Tech University. ENGL 3325: Modern and Contemporary American Literature – Imagining the Future; Society and the Environment, Fall 2015. Texas Tech University. 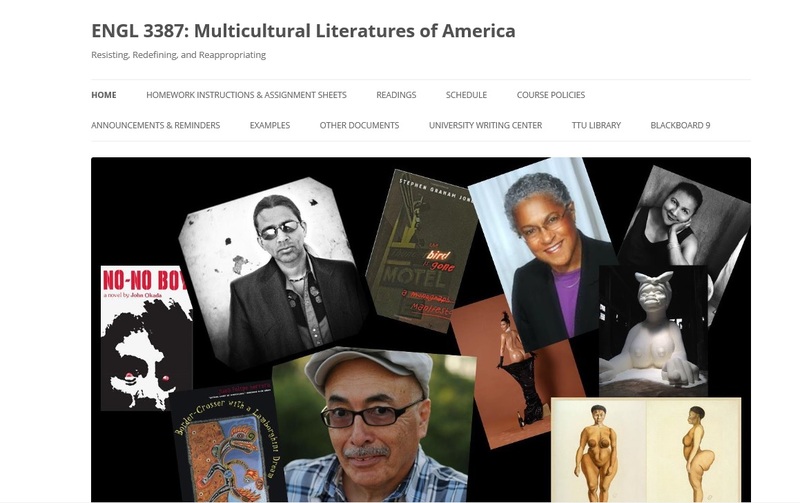 ENGL 3387: Multicultural Literatures of America – Resisting, Redefining, and Reappropriating, Summer I. Texas Tech University. 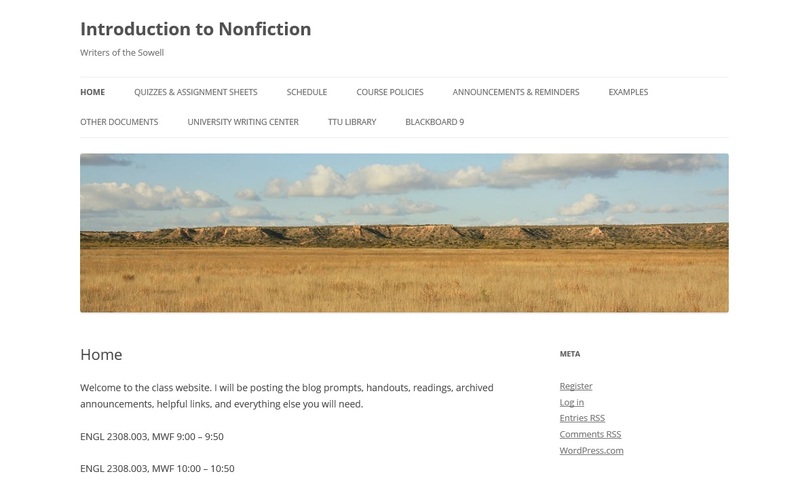 ENGL 2308: Introduction to Nonfiction – Writers of the Sowell, Spring 2015. Texas Tech University. 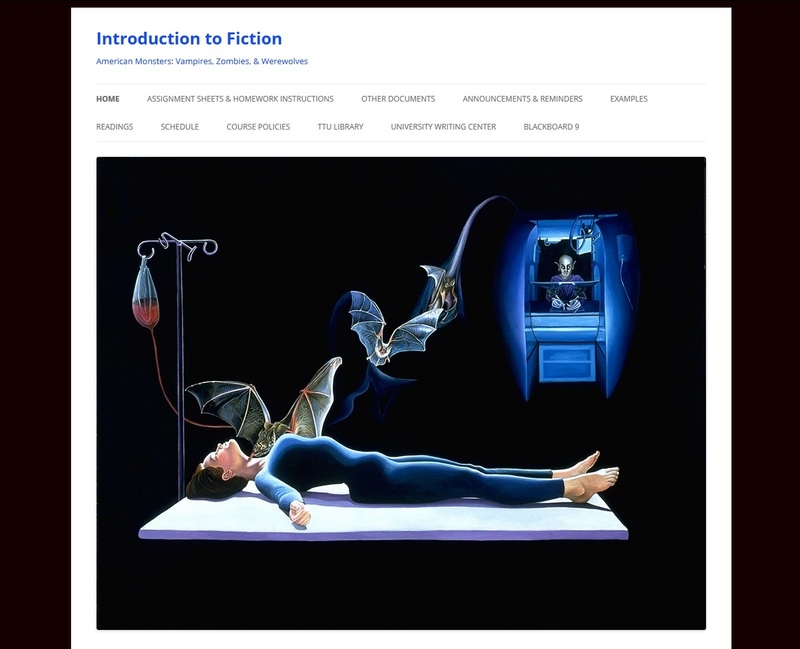 ENGL 2306: Introduction to Fiction – American Monsters: Vampires, Zombies, & Werewolves, Fall 2014. Texas Tech University. 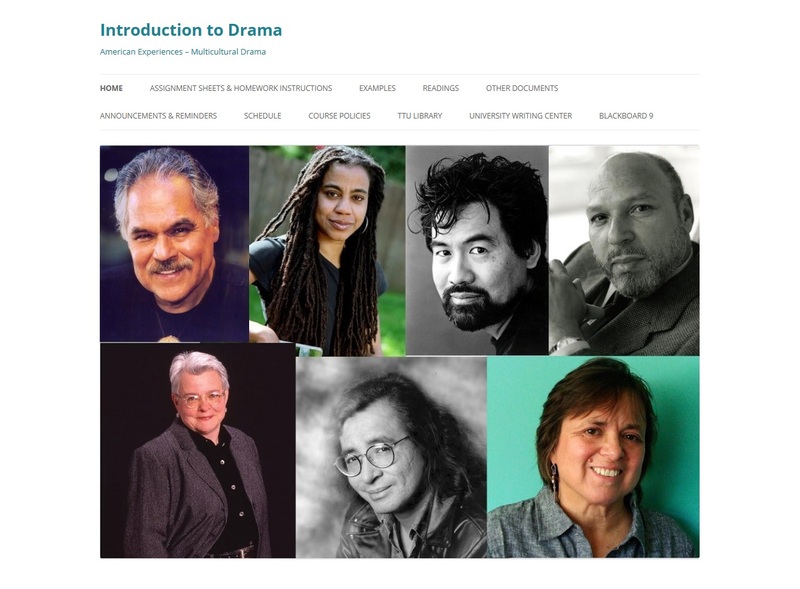 ENGL 2306: Introduction to Drama – Multicultural American Drama, Summer I 2014. Texas Tech University. 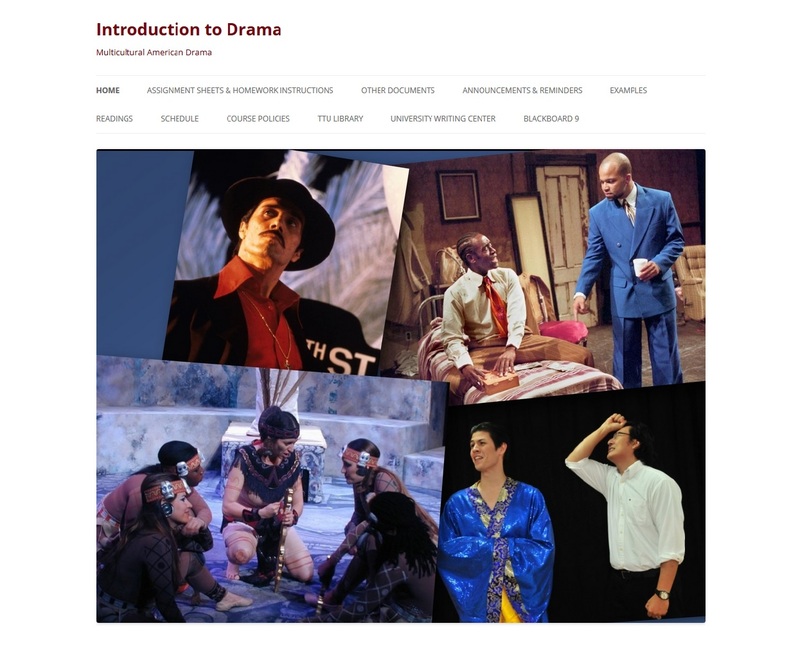 ENGL 2306: Introduction to Drama – American Experiences: Multicultural Drama, Spring 2014. Texas Tech University. 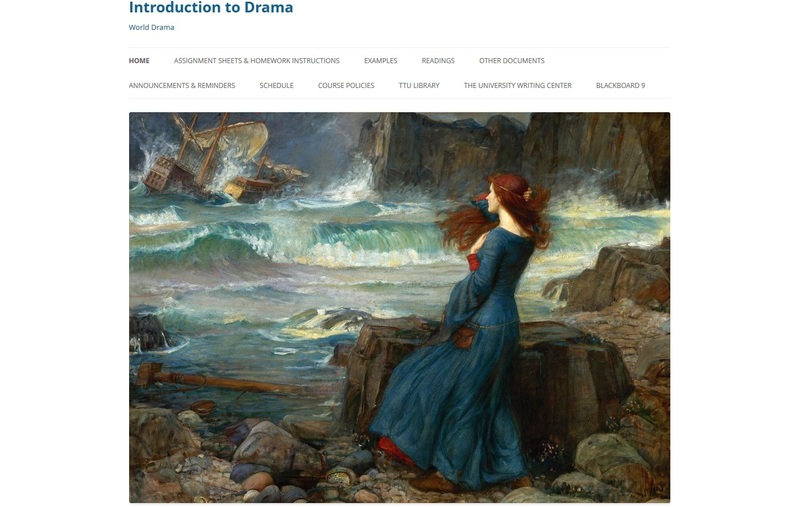 ENGL 2306: Introduction to Drama – World Drama, Fall 2013. Texas Tech University. ENGL 2307: Introduction to Fiction – Resistance, Survival, Survivance– Native American Fiction, Summer I 2013, Texas Tech University. 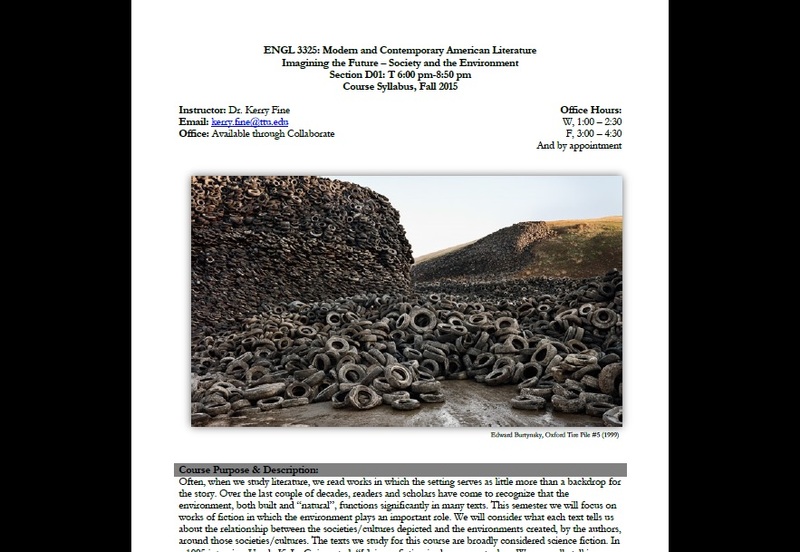 ENGL 2307: Introduction to Fiction – From Colonialism to Nuclear Meltdown – The Environment in World Fiction, Spring 2013. Texas Tech University. 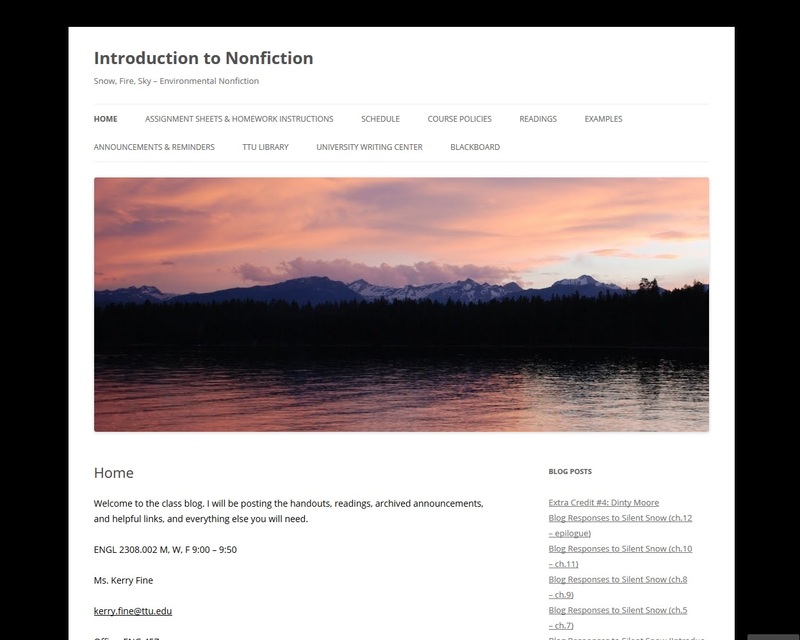 ENGL 2308: Introduction to Nonfiction – Snow, Fire, Sky – Environmental Nonfiction, Fall 2012. Texas Tech University. ENGL 2307: Introduction to Fiction – Gender Identity & Sexual Orientation in Literature, Summer II 2012. Texas Tech University. ENGL 2307: Introduction to Fiction – Gender Inscribed & Re-Envisioned in LGBTIQ Novel & Short Story, Spring 2012. Texas Tech University. ENGL 2307: Introduction to Fiction – Native American Short Story and Novel, Fall 2011. Texas Tech University. ENGL 1302: Advanced College Rhetoric, Summer I 2011. Texas Tech University. ENGL 1302: Advanced College Rhetoric, Spring 2011. Texas Tech University. ENGL 1301: Essentials of College Rhetoric, Fall 2010. Texas Tech University. ENGL 1302: Advanced College Rhetoric, Spring 2010. Texas Tech University. ENGL 1301: Essentials of College Rhetoric, Fall 2009. Texas Tech University.